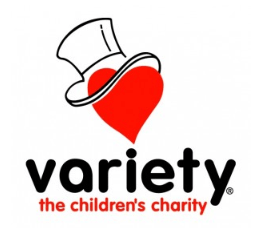 Are You Selling is proud to partner with Variety the Children’s Charity, to help them continue to brighten the lives of children who are sick, disadvantaged, or have special needs. By donating money to this wonderful charity with every car that we buy, we are incredibly excited and humbled to be able to play our part in assisting them with much-needed funds. Variety is a not-for-profit organisation that provides more than $1 million in support every month for children in need around Australia. This assistance translates into a number of different forms, from answering practical needs and providing vital equipment, to making their lives a little brighter through exciting programs and experiences, including the famous Variety Santa Fun Run! Above all, Variety want to make the lives of children (and their families) who are disadvantaged, sick, or have special needs as easy and enjoyable as possible. Are You Selling is happy to stand behind Variety and help them to continue to their great work. If you want to donate or learn more about them, visit their website www.variety.org.au. If you have a car to sell, talk to the team at Are You Selling, and you can get instant cash for your car while also feeling great about the difference you’re making!